We’ve all experienced this at some point or another: You wake up and look in the mirror, only to notice major dark circles or under-eye bags staring back at you. Not cool. 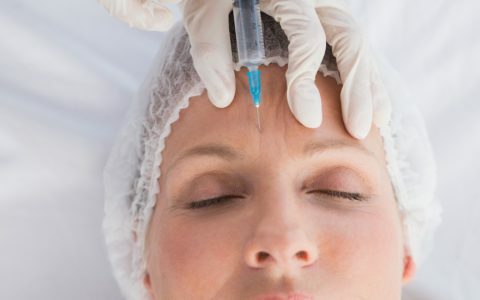 Everything from genetics to fatigue to skin that’s starting to thin as you age can lead to those dreaded signs of aging making their presence known around your eyes. And this somehow always happens on days when you have a job interview or a date, leaving you scrambling to figure out how to mask your under-eye area… without making it look totally obvious that you’ve packed on the concealer. One of the best things you can do to both prevent future signs of aging around your eyes and lessen the look of what’s already there? An eye cream. What’s the deal with eye cream, anyway? Well, eye creams are specially formulated creams that protect the skin around your eyes and fight back against stuff like dark circles, crow’s feet, puffiness, and sagging skin. But why can’t I just use my moisturizer? 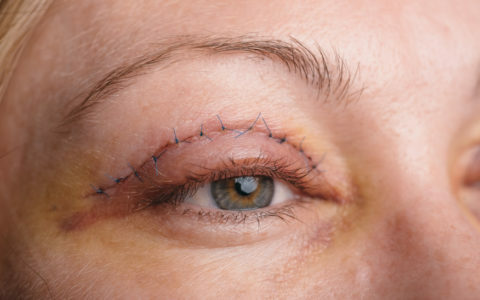 The thing is, the skin around your eyes is thinner and way more fragile than the skin on the rest of your face. That’s why you need to use a product that’s specifically designed for this delicate area and any issues you might be dealing with there. 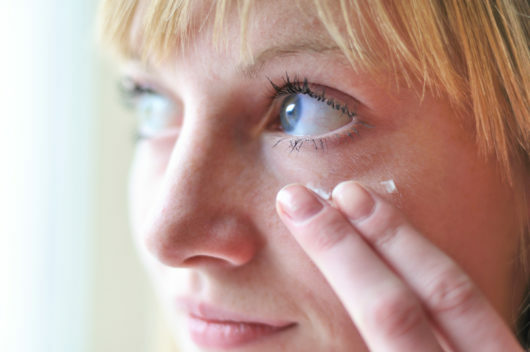 Slathering on your regular moisturizer right below your eyes could even lead to irritation, especially if your moisturizer contains fragrance (which is known to bother sensitive skin). Eye creams, on the other hand, are almost always mild formulas that quickly sink into skin without leading to any redness or itchiness. Will eye cream really get rid of my wrinkles or bags, though? While we hate to be the bearer of bad news, but… While using an eye cream consistently can definitely make your under-eye area look brighter, smoother, and firmer, it’s not going to make your dark circles or crow’s feet entirely disappear. In other words, don’t head to Sephora expecting to purchase a miracle. That being said, brighter, smoother, and firmer is still something! You’re right! I still want to try an eye cream. What should I look for? 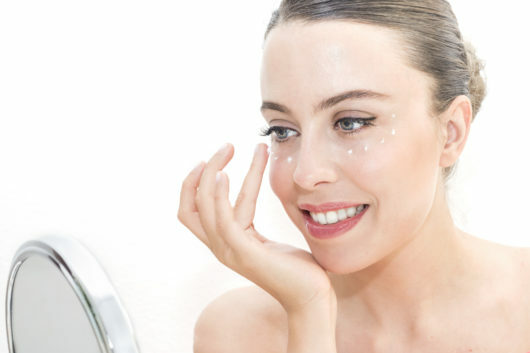 There are a few general guidelines that are worth following if you’re shopping for an eye cream. 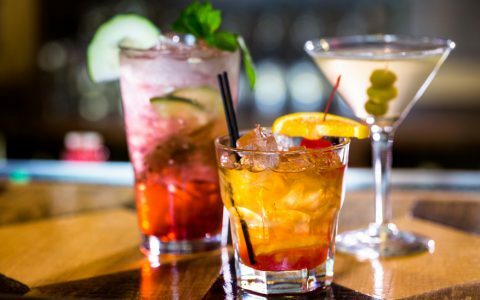 Start by familiarizing yourself with a few key ingredients. Some of the best ones for addressing aging around your eyes: retinol, vitamin C, and hyaluronic acid. These are three superstars in the skincare world — retinol fights wrinkles, vitamin C brightens and offers antioxidant protection against environmental aggressors, and hyaluronic acid plumps up the skin for major moisture. Make sure your eye cream is fragrance-free, since, like we told you before, fragrance can cause irritation. Ouch! And if you’re planning on using an eye cream in the morning, it’s a good idea to pick one with SPF in it so you get that sun protection. You might want to use a richer, thicker one at night, since your skin repairs itself while you get your snooze on! We’ve been looking for some good eye treatment options. I’m glad you talked about eye creams, which was something I hadn’t considered. I’m going to have to look for a good eye treatment option and see what we can find!